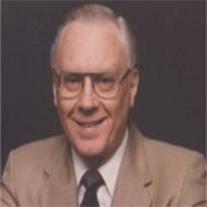 Rogers, Waldo Isaacson, 83, of Mesa, AZ passed away peacefully August 30, 2011. He was born May 26, 1928 in Phoenix, AZ to David White Rogers and Esther Isaacson Rogers and raised in St. Johns, AZ. While serving in the US Navy, he married Lila Jarvis in 1947. He graduated from the University of Arizona with a degree in electrical engineering. He received two master’s degrees from UCLA and began work at Hughes Aircraft in CA. After 32 years in CA they moved back to AZ. He retired in 1998. He was preceded in death by his sister JoAnn Judd. He is survived by his wife of 64 years, Lila, and his seven daughters Jackie (Craig) Christensen, Vicki (Court) Hilton, Georgia, Debbie (Ron) VanDusen, Audrey (Vance) Thomas, Julie Patterson, and Susan (Jim) Seiferth. He also leaves 16 grandchildren, 15 great-grandchildren, and his brothers Yale and Ellis. Visitation is Friday Sept 2nd 6-8PM at Bunker’s Garden Chapel, 33 N. Centennial Way in Mesa. Funeral services are Saturday Sept. 3rd at 10AM with a visitation from 9 to 9:30 AM at the LDS Harris 1st Ward, 1455 N. Harris Drive, also in Mesa. The family wishes to thank Americare Hospice for their tender care.